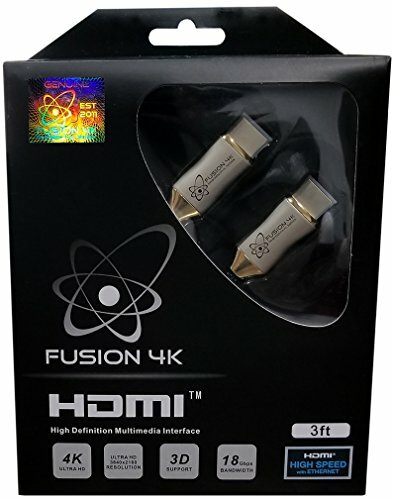 Professional Series Fusion4K HDMI cable (3 Foot) ● 4K and 2K Resolution Support: enables video resolutions far beyond 1080p, up to 4096x2160 (including 3820x2160), giving ultimate video enjoyment. 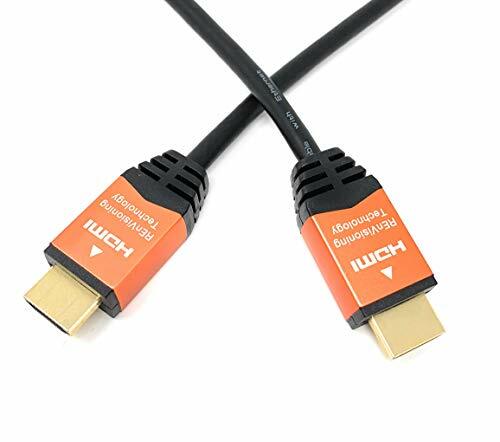 ● Latest HDMI 2.0a SUPPORTED Enabling High Dynamic Range (HDR).● 4K HDMI cable capable of Bandwidth up to 18 Gbps, 32 audio channels, and up to 4 times the clarity of 1080p video. ● HDR High Dynamic Range provides wider and richer range of colors, much brighter whites, and much deeper, darker blacks. ● Ultra 3D Over HDMI: defines input and output protocols for major 3D video formats, paving the way for 3D home theater. ● Audio Return Channel: allows HDTVs with a built-in tuner to send audio upstream to surround sound audio receiver. ● HDMI Ethernet Channel: adds data to the HDMI cable enabling high-speed bi-directional network communication. ● Deepest Color Space: expanded 48-bit color that supports x.v.Color, sYCC601, and Adobe RGB. ● Oxygen Free Copper: 99.9 % pure copper ensures maximum signal transfer and data bandwidth. ● 24-Karat Gold Plated Connectors: Superior transfer rates and lifetime corrosion protection. ● 1 year replacement warranty. 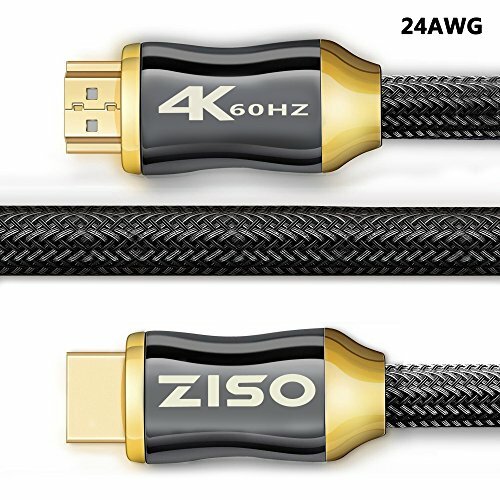 ZISO 6 FT - BRAIDED 24AWG - HDMI 2.0 CABLE - 18 GBPSETHERNET & AUDIO RETURN CHANNEL Product Specification -Large Gauge: 24AWG, ensure lossless of data transmission-Standard 19+1 PIN, Multiple shielding -Rich Video Quality: 4K Video -Durable & Long-Lasting HDMI2.0 Version OD:9.0 ± 0.2mm -Universal Compatibility: 18Gbps, HDCP2.2 99.99% Oxygen Free Copper conductor PVC material With HDMI ATC Certification,CE,ROHS and REACH Certification5 main features: ★★24K Gold Plated connectors High-quality ★Full Metal Shielding within connectors for durability and Interference protection ★Precise engineering with a die-cast metal shell ★ 100% Pure Copper Wiring for Better Image / Sound Quality ★ Supports 4K / Ultra HD, up to 4096 x 2160p @60Hz HDCP2.2 Warranty: The product includes 30-Day Money-Back Guarantee for any reason FREE 【 LIFETIME WARRANTY】 for Replacement! You have found the very best offer! Connect ScreenBeam Mini's USB adapter to your HDTV and you can wirelessly share your favorite online content on your HDTV. 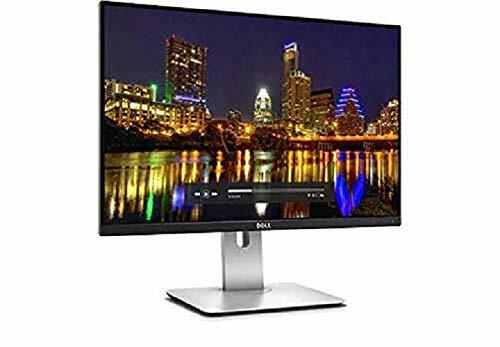 Now you can enjoy your favorite online or stored videos, photos and presentations on the best display in the house or office. 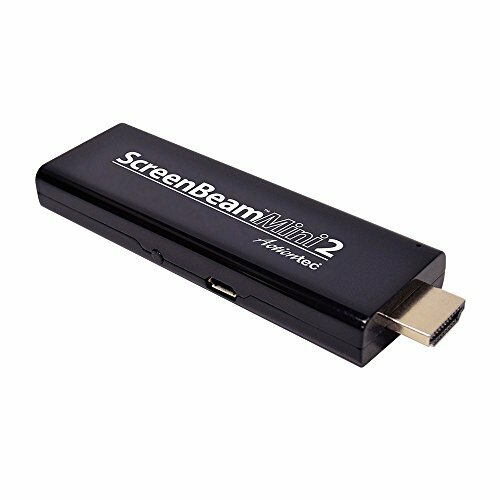 ScreenBeam Mini is compatible with many devices you already own, including Windows 8.1, Wi-Fi Miracast, Intel WiDi laptops, tablets and smartphones. 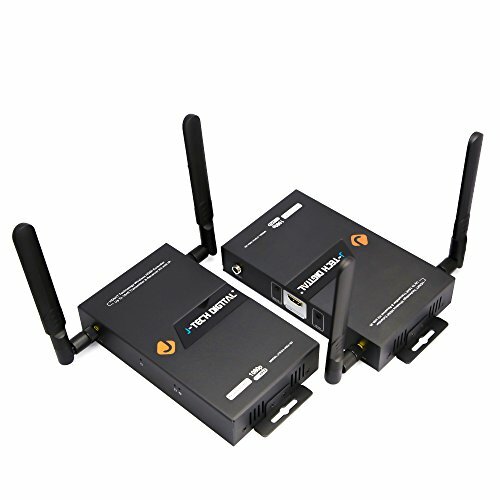 ScreenBeam Mini creates a direct 2.4 GHz or 5 GHz connection, so an existing Wi-Fi network is not required. 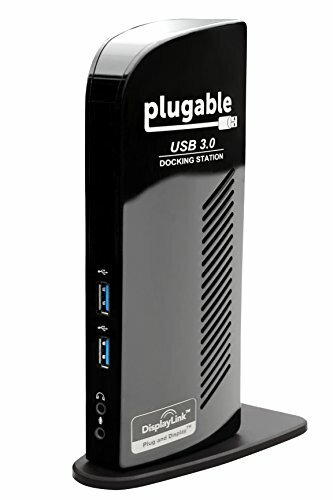 Setup is takes less than one minute and is powered directly through your TV's USB port or with a provided power adapter. Not compatible with Apple devices. 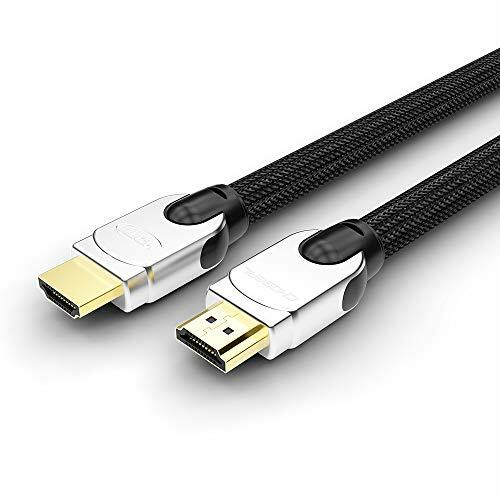 REvTech's professional grade HDMI 2.0 male to male cable. Orange aluminum connector to easily find the connector in the dark. Connects Blu-ray players, Fire TV, Apple TV, PS4, PS3, XBox one, Xbox 360, computers and other HDMI-enabled devices to TVs, displays, A/V receivers and more. Very durable. 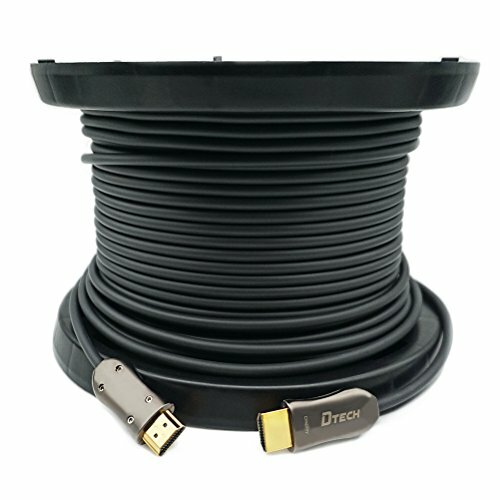 Looking for more Professional Series Hdmi Cable similar ideas? Try to explore these searches: Mce Remote Controller, Mpb Bag, and Adidas Fleece Sweatshirt. Look at latest related video about Professional Series Hdmi Cable. Shopwizion.com is the smartest way for online shopping: compare prices of leading online shops for best deals around the web. Don't miss TOP Professional Series Hdmi Cable deals, updated daily.